Ciao pasta lovers! Freshly made Tagliatelle is delizioso. Si, you buy great tasty dried pasta with the minimum of fuss! But does it taste as delizioso as freshly made No no No! 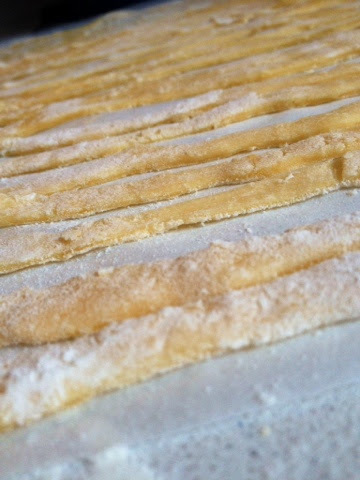 So get out your rolling pin and lascia fare la pasta!! Work togther all the ingredients to obtain a smooth dough. Let dough rest for 30 minutes. 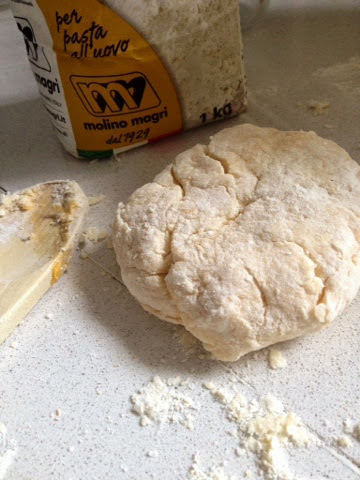 Roll out dough into a thin sheet, dust with flour and roll it up into a long cylinder. Using a sharp knife, cut the cylinder into narrow ribbons and open them up on a dry surface. Let them dry for some hours. 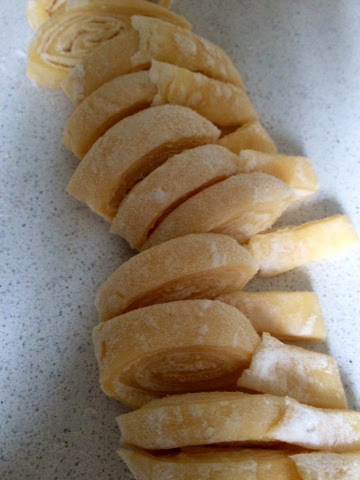 Bring a pot of salted water to the boil, cook your fresh pasta for a few minutes and godere with your favourite sauce.